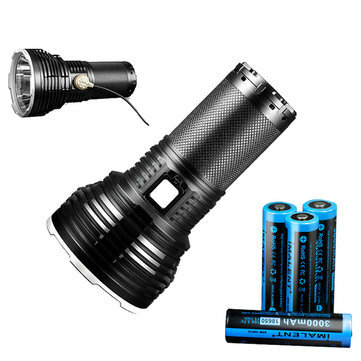 -Utilizes one American XHP70 2nd generation LED. -Maximun output up to 5500lumens. -Built-in intelligent temperture control module can automatically adjust the brightness output.Keep using camfortably. -Built-in magnetic charging.Higt grade and portable. When the battery voltage is lower than 3.2V,the red indicators will turn on.and if users try to activate turbo mode,the red indicators will flash three times to remind users battery too low to activate it.